Many perspectives exploring one problem. A cross-pollination of ideas at the edge of understanding. All proceeds will go to the Newcastle branch, for their suicide response initiative. Professor Jackson is responsible for the famous “Mary’s Room” thought experiment; intended to show that qualia, the ‘feely’ aspects of our experience, can’t be explained in purely physical terms. This is sometimes known as The Knowledge Argument. 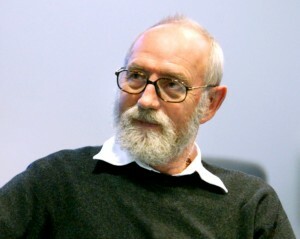 He was Distinguished Professor of Philosophy at the Australian National University and a regular visiting professor of philosophy at Princeton University. He has made contributions to philosophy of mind, epistemology, metaphysics, philosophy of language and meta-ethics. Professor Jackson is a Corresponding Fellow of the British Academy. The University of Newcastle’s NUbots team, part of the Newcastle Robotics Lab, develops software for robotic soccer and competes every year in the international RoboCup competition. They won the world title in both 2006 and 2008. RoboCup is an international research and education initiative. Its goal is to foster artificial intelligence and robotics research by providing a standard problem where a wide range of technologies and concepts can be integrated and examined in comparison to other teams, including robot vision, robot learning, biped motor control, localisation, world modelling, behaviour, and human-robot interaction. The ultimate goal of the RoboCup initiative is “By the year 2050, develop a team of fully autonomous humanoid robots that can win against the human world soccer champion team”. Dan Fanthorpe has been practising yoga for over 25 years and teaching for sixteen. 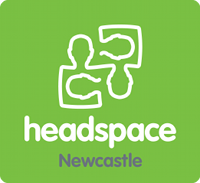 He is the owner and head yoga instructor at Ashtanga Yoga Newcastle. Dan is an authorised level two yoga teacher, with a background in classical Hatha yoga, including Ashtanga Vinyasa yoga, Meditation and Yoga Therapy. He also teaches workshops and retreats internationally, with one coming up entitled “Consciousness vs. Matter”. Ashtanga Yoga is a traditional form of yoga based on eight limbs: Yama (moral conduct), Niyama (self observances), Asana (physical posture), Pranayama (breath control), Pratyahara (controlling the senses), Dharana (concentration), Dhyana (meditation), Samadhi (freedom). Dan believes that Yoga works on creating a balanced body to live in and a balanced mind to live with. 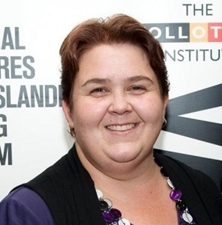 Catherine Phoenix is an academic at The Wollotuka Institute. She has an Aboriginal Studies degree and is presently completing a Master of Philosophy (Education) at The University of Newcastle. Catherine’s research area of interest is Indigenous specific enabling education. She is a former Yapug student and is the current Yapug Convenor. 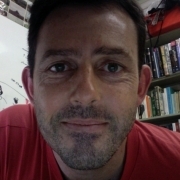 Dr Darren Burke is a Senior Lecturer in the School of Psychology at the University of Newcastle. He is an Experimental Psychologist, interested in the evolution of visual, spatial and social abilities. Dr Burke’s research has spanned a broad spectrum of experimental psychology, united by a focus on why particular mechanisms work the way they do, and how evolution may have produced them. This has involved comparing psychological mechanisms across species that have faced different evolutionary selection pressures, as well as taking a functional approach to human psychology – asking what particular psychological mechanisms are actually for. 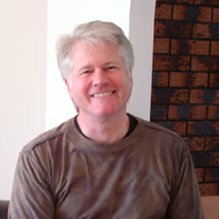 Russell Blackford has taught extensively across the philosophy and bioethics curriculum at Monash University, and is now a Conjoint Lecturer at the University of Newcastle. He has published widely in Australia, the United Kingdom, the United States of America, and elsewhere. Russell is a prolific commentator on issues relating to the authority of religion, legal and political freedoms, and the human future. His recent books include Freedom of Religion and the Secular State (Wiley-Blackwell, 2012), 50 Great Myths About Atheism (co-authored with Udo Schuklenk; Wiley-Blackwell, 2013), Humanity Enhanced: Genetic Choice and the Challenge for Liberal Democracies (MIT Press, 2014), and Intelligence Unbound: The Future of Uploaded and Machine Minds (co-edited with Damien Broderick; Wiley-Blackwell, 2014). He is a regular contributor to Free Inquiry and a Laureate of the International Academy of Humanism. All proceeds from ticket sales will be donated to Headspace, the National Youth Mental Health Foundation. Specifically, the suicide response initiative, designed by young people at their Newcastle centre. All money raised will be donated to the youth mental health foundation, Headspace, for their Hunter Region suicide response initiative. Student: So… hang on… I get fed all day AND there’s bonus thought provoking entertainment on tap?! Socrates: Indeed. And you’ll be giving to a local youth charity while you enjoy the day. With so many students, and such a large campus, parking at the university can be a mission. We recommend taking public transport, or finding free parking at a nearby train station (eg Waratah Station) and catching a train to Warabrook Station, where a regular shuttle bus can pick you up and drop you off right outside The Brennan Room, Shortland Union building. Click here for more parking and transport information here. catch a train to Warabrook Station (on Hunter Line) and then take the shuttle bus to the Shortland Union building. We'll keep you in the loop as we confirm speakers and add bells and whistles to the event!